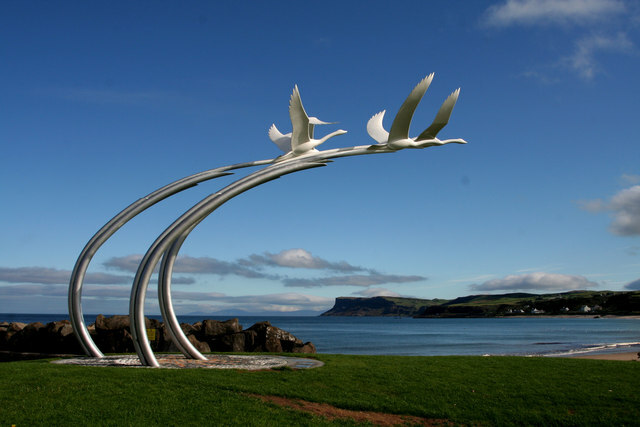 The Children of Lir tells of the four children of Lir being turned into swans by their stepmother and exiled to spend 900 years roaming three different parts of Ireland. © Copyright Patrick Baldwin and licensed for reuse under this Creative Commons Licence. This page has been viewed about 358 times.